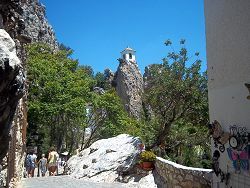 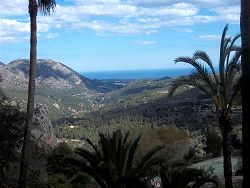 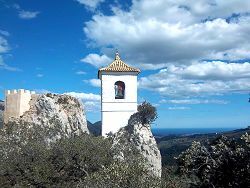 Lying just off the CV70 which runs from Alcoy to Benidorm (an attractive, but torturous drive in places), and around 20km from the coast, the small town of Guadalest attracts a large number of tourists in busy times. 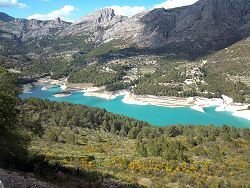 The main attraction is the ruined 11th century castle, sitting on a rocky outcrop, 180m above the Guadalest reservoir (created by the construction of a dam, completed in 1971). 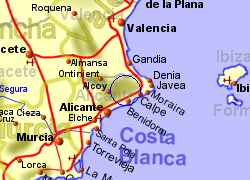 The castle was mostly destroyed in an earthquake in 1644, with further destruction taking place in the war of succession in 1708. 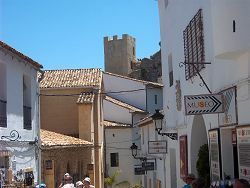 Adjacent to the castle is the 17th century La Casa Orduña, which is also open to the public. 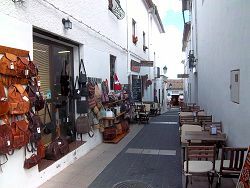 The town has numerous museums and gift shops together with several restaurants and places to stay. 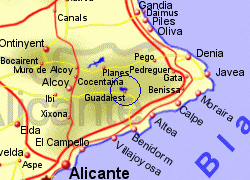 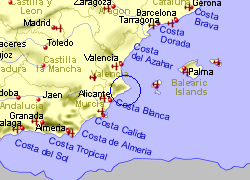 Map of the Guadalest area.